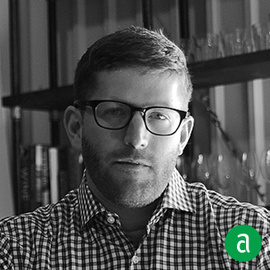 Eric Railsback, Partner and Wine Director of Mason Pacific in San Francisco, shares his career timeline and advice for up-and-coming talent. This industry is based on relationships which take a long time to build and can be broken very quickly. I always look for work ethic, good attitude and the will to constantly improve and learn. It's not just about your talent and skill set. When working under my brother, doing bread & water service in high school, I realized I loved taking care of people and giving them a great experience they couldn't get anywhere else. Making someone's night makes all that hard work polishing glasses pay off! To motivate my team I always like to get them in front of as many different Food and Wine professionals as possible. Everyone has a different way of doing things and we can always learn something from others. Travel, tasting and reading are always important to keep in the mix as well. I started with Kermit Lynch's Adventures on the Wine Route. This is what started the Wine & Food bug in me. From there I went on to The New France, and many other wine guides. But now days I love referencing Rajat Parr's "Secrets of the Somm". I try to constantly put myself in positions to learn. Visiting wine regions to talk to wine makers, checking out new restaurants and learning from others. Working at RN74 was the wine job that had the greatest impact on my career so far. I was lucky enough to work under Rajat Parr and many other restaurant professionals who had so much more experience. I found a great appreciation for work ethic and doing things the right way. Cutting corners never pays off.